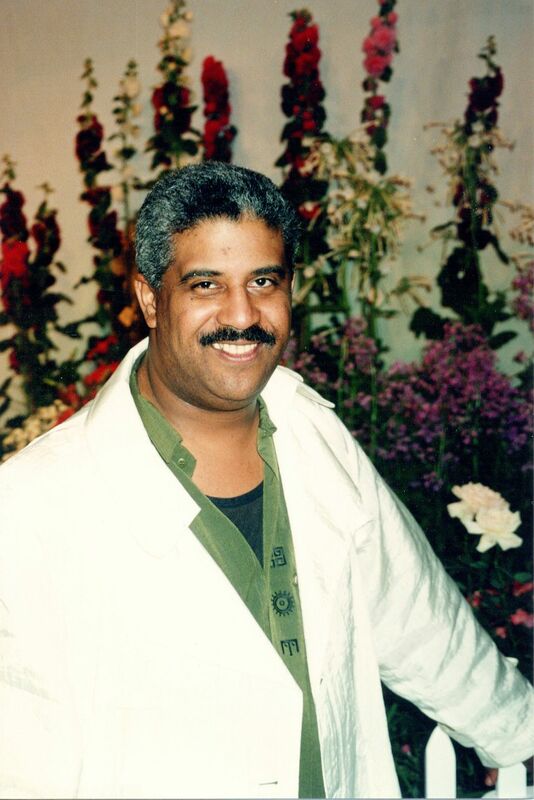 As a DJ on NYC’s WKTU (92.3), he was part of the crew in the late ’70’s, who helped bring disco out of the clubs and into being a cultural phenomenon. WKTU rode wave all the way to becoming the number one radio station in the country’s biggest market, with De Jesus’ gregarious on-air personality as a major part of the lineup. He also had a keen ear for the music of the urban streets, which led to him becoming WKTU’s program director. Though it may be hard to believe now, there was a time at the dawn of the video age, when it was very difficult for black artists to get video airplay. MTV, in its early days, might as well have hung out a “Whites Only” sign. Artists of color were summarily excluded due to the station’s arbitrary format limit, which favored AOR (Album Oriented Rock). So in the early 80’s, R & B and hip-hop artists had to scramble for other outlets that would bring their videos before the public. BET was on the air, but still searching for direction. It wouldn’t become an influential video outlet until the late ’80’s. In the summer of 1983, WABC-TV in New York began providing an oasis, in the form of New York Hot Tracks, a show focused on music by R & B, Disco and Rap Artists; in other words, those who couldn’t get seen on MTV. When the producers went looking for a host, they found Carlos De Jesus. The show was different from anything on MTV, not only for the type of music played but for the setting as well. Carlos was usually set up in one of the more popular dance clubs in the NY Metro Area, giving the show a live feel and boundless energy. Mr. De Jesus would intro each clip and often have some major artists in the club with him for live interviews. The production wasn’t polished, but it was real. People there were having fun and you wanted to be a part of it. Within a year of its premiere New York Hot Tracks had become must see urban viewing, even in its tough time slot (Friday nights 11:30 pm – 12:30 am). The show went from being shown on one station to being syndicated on 110. “NYHT” became the show to be on for artists who were visiting New York and as the host, Carlos was the man to be seen with. Not bad for a kid who got his start hosting a show called Alma Latina on Columbia University’s WKCR in 1971. Carlos left NYHT in 1986. The show continued until 1989 with celebrity hosts, but without De Jesus, it lost its charm and New York energy. For my money those last three seasons might as well been produced on some farm in North Dakota. I had lost track of Carlos De Jesus until about three years ago, when I began to use Twitter regularly. Through a retweet he appeared in my timeline, attached to one of the mixes of classic 70’s / 80’s tracks that he was fond of dropping. I tweeted my admiration of the mix and was pleasantly surprised to get a response. Thus began our friendship. We never met in person, but we found that we shared a common goofy sense of humor and of course, a love of that music that kept us in touch. I was blown away when he used his new Flip video camera to make a promo for my web radio station and send it to his followers. He always supported me – “The Jazzman of Twitterland”, as he used to call me. I got the feeling that as much as he had done in the industry, he had been somewhat forgotten in the speed and “don’t look back” attitude of this century, so I made sure that I would regularly give him shoutouts, reminding of what a legend he was. He would always respond “You Crazy, Man”, but I know that he appreciated it. When I heard of his passing today, I went to his timeline to see what his final tweets were about. I see that right until the end, he was doing his thing – sending out hot mixes, good wishes and pictures of beautiful ladies that he had met over the years. In his honor, I’m sharing links to some of his last posted mixes below. Carlos De Jesus was an original. The world was so much better because he was here and it’s a bit sadder because he’s gone. This entry was posted on February 16, 2012 at 11:53 pm and is filed under In Memoriam with tags carlos de jesus, disco, new york hot tracks, wktu. You can follow any responses to this entry through the RSS 2.0 feed. You can leave a response, or trackback from your own site. I was moved by your comments of my friend and colleague at Columbia University and WKCR-89.9FM. You described him well for never having met him. We attended Columbia College at the same time and formed the Latin Music Trilogy at WKCR and the tri-state area. It was Carlos DeLeon with “Cocinando” Carlos DeJesus with “Alma Latina” and me with “The Mambo Machine”. We made history at that time by being the first to broadcast our shows over the FM signal and the rest is history. Carlos followed his heart and continued on in radio and tv and was great at it. He always sought to help anyone in any way he could. You describe his sense of humor very well. He was self deprecating and unassuming. He always made everyone around him feel comfortable with him. I miss him. He left us too soon. Jose “Cheo” Diaz. I just learned of his passing after knowing him in the 70’s. I would stop by during his show at Columbia and he turned me on to the Cuban Jam Session Descarga Caliente. This to me is very sad since I lost track of him. He is gone too young. A legend that can never be replaced. May he RIP! A smile and beautiful soul never to be forgotten! Great and well deserved memorial/tribute for Carlos De Jesus. I met a Carlos de Jesus in Panama. He looks a lot like him. However it was at least 40 years ago. He was in the Army. I would really like to know. I hope someone that knows can answer me.